A University of Texas at Arlington computer science professor has received a $1.2 million grant from the U.S. Department of Education, supplemented with $300,000 in UTA matching funds, that will significantly increase the number of doctoral students, especially among women and minorities. Ishfaq Ahmad, UTA professor in the Department of Computer Science and Engineering, will lead the project. Co-principal investigators are Ramez Elmasri, Leonidas Fegaras, Manfred Huber and Bahram Khalili, all in CSE. This grant, when combined with Ahmad's recent $350,000 National Science Foundation grant, will also aid interdisciplinary research efforts to design assistive technologies for people with disabilities. The grant is part of DOE's Graduate Assistance for Areas of National Need, or GAANN, program. The highly competitive GAANN awards will provide fellowships over the next three years to assist doctoral students of superior ability who demonstrate financial need. Women and minorities are particularly encouraged to apply. "UTA is building a niche in this research area of assistive technologies," Ahmad said. "We are also achieving our goal of graduating more domestic Ph.D. students. With our previous GAANN award, we built a pipeline, which is now full and is beginning to produce PhD graduates." He added that the GAANN program will aggressively recruit the finest doctoral candidates from across the state and nation. Some of the assistive technologies – considered a "national need" – involve devices and systems that make life easier for people with disabilities, including: designing smarter sensors, artificial intelligence and data-enabled software, devices, systems and environments that can improve the quality of life for a disabled person's home to caregivers. Hong Jiang, chair of the Department of Computer Science and Engineering, said Ahmad has led the effort to increase the number of doctoral students in CSE. "It's important to not only the world of computer science but also society in general," Jiang said. "These new doctoral students will help on so many fronts, including the teaching, research and corporate worlds. The GAANN award signals that the University's and the CSE Department's research strength in general, and in assistive technologies, in particular, is recognized at the national level. It also signifies the strong track record and capability of CSE's faculty in mentoring and producing high-quality Ph.D. students to meet the national demand for a competitive IT workforce." Jiang, who also is the Wendell H. Nedderman Endowed Professor, said Ahmad's work in this area touches on so many of the tenets of UTA's Strategic Plan 2020: Bold Solutions | Global Impact, including health and the human condition theme and data-driven discovery. 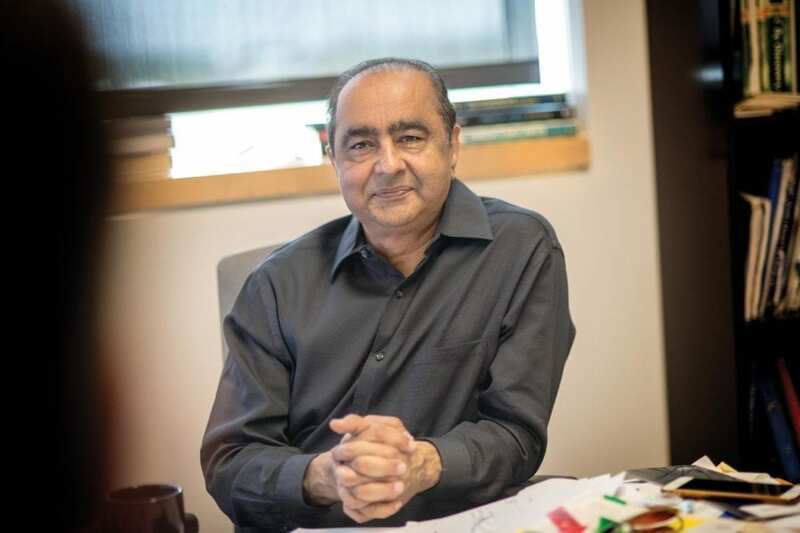 Ahmad also is the director of the Center for Advanced Computing Systems and a fellow of the IEEE or Institute of Electrical and Electronics Engineers. His research interests are in the broader areas of parallel and distributed computing systems and their applications, optimization algorithms, multimedia systems, video compression, assistive technologies, smart power grid and energy-aware sustainable computing. His research work in these areas has led to nearly 250 articles in books, peer-reviewed journals and conference proceedings. Ahmad is a recipient of numerous research awards and recognitions. Besides the Department of Education funding, Ahmad's current research is funded by the National Science Foundation, U.S. Air Force Research Lab, Adobe Inc. and Huawei.